The Janome New Home sewing machines are well respected in the sewing community. This Double-Duty is a strong, basic zigzag machine with some nice features. She's just come off our restoration bench so we've been deep inside her to clean and polish her various parts before restoring them to the machine. 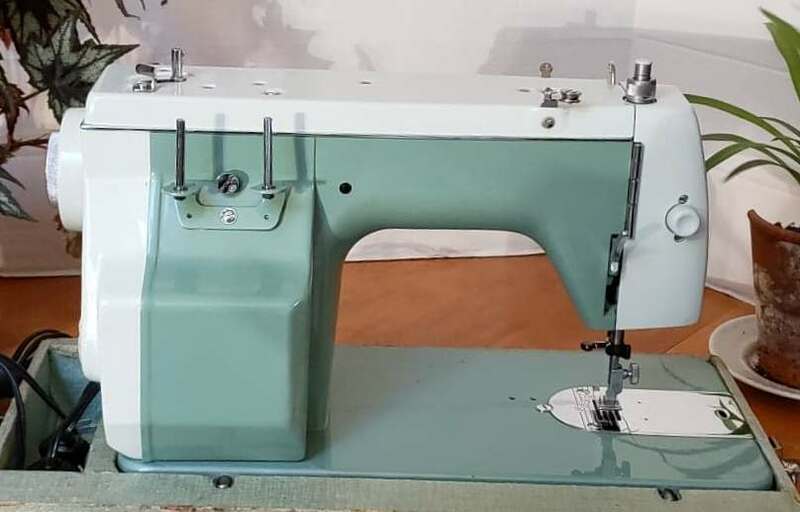 Each system has been carefully adjusted and tested, and then the machine as a whole was tested to be sure she's running and sewing at her best. 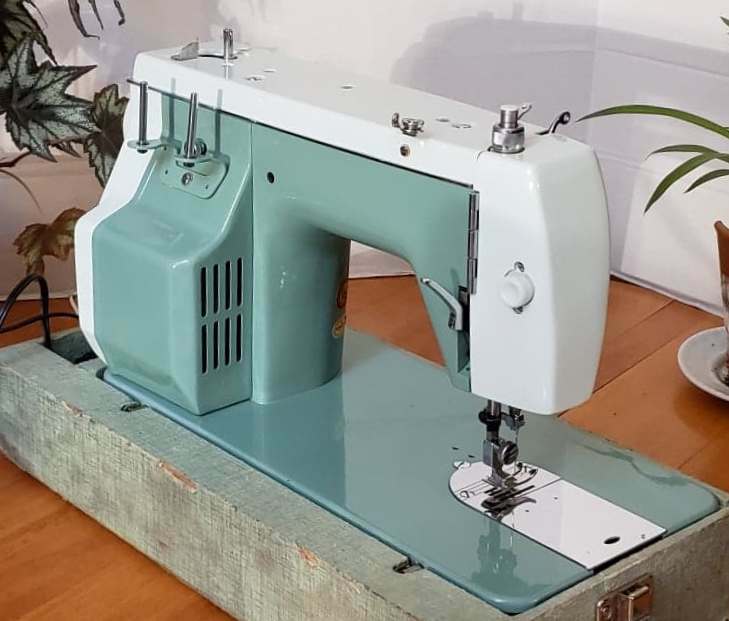 Joanna Darke was your detailer on this machine and she's meticulously cleaned and polished her to bring her back to her best appearance, too. 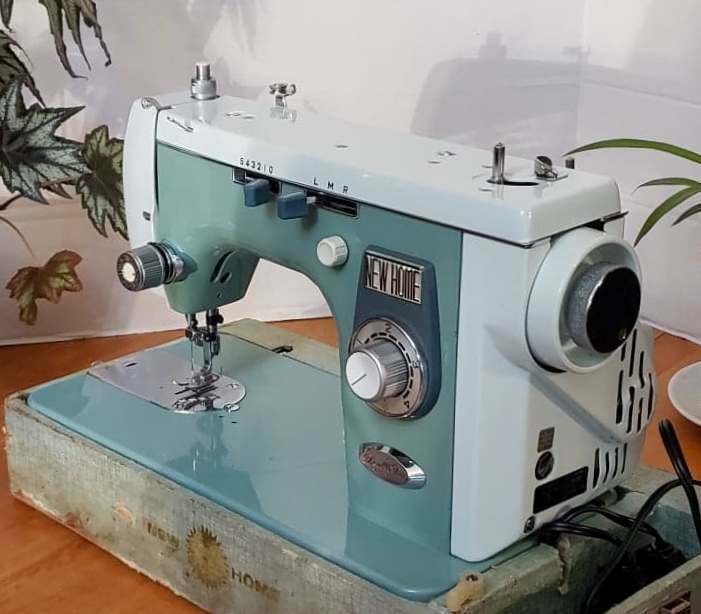 This Double Duty machine uses universal needles and standard class 15 bobbins, both the most common in the world and available everywhere, and some of her features include buttonholes, instant-release sewing foot pressure regulator, built-in feed drop setting on the stitch-length knob, manual decorative stitches as illustrated in the included .pdf user manual, and more. 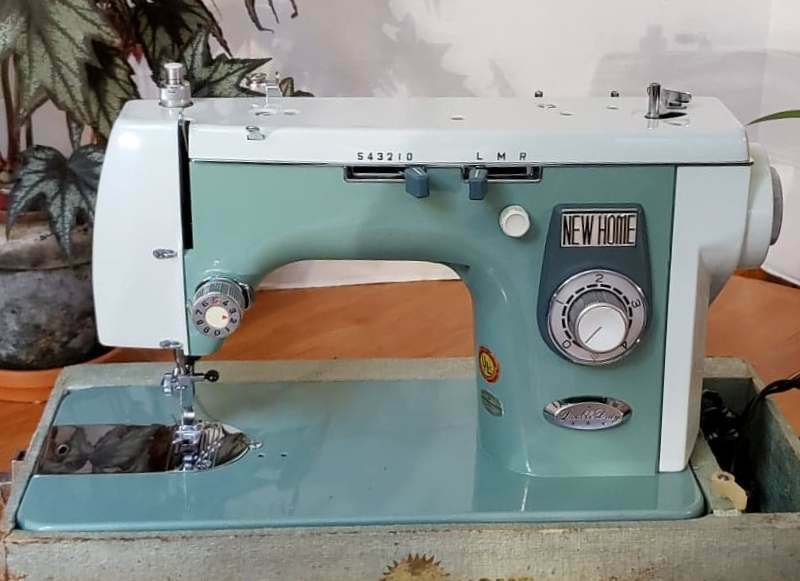 She's a fine machine for regular sewing on heavy, medium, and light materials, as well as quilting, applique work, art sewing, mending, and darning. She's a machine that's meant to last a lifetime and beyond. Because we believe in this fine Japanese-made machine and in the work we do, we offer this free lifetime guarantee, that if you ever have a problem with this machine, just bring or send her back to us and if it's something that we can fix, we'll fix it for free. You, of course, will pay for any parts or shipping. 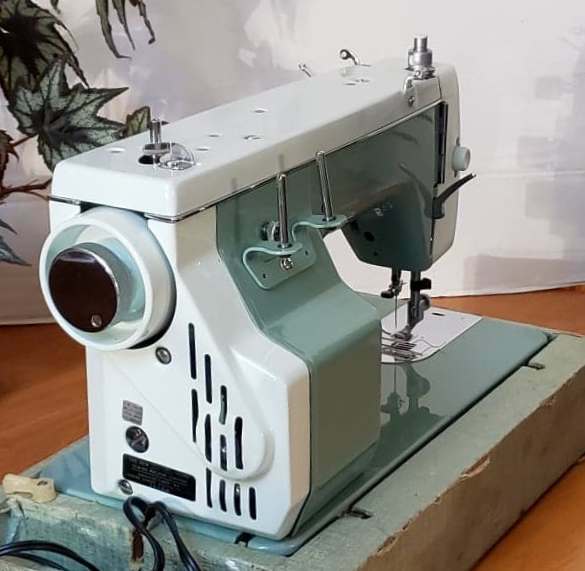 Make this fine Janome New Home machine yours today, and bring her home to your sewing room.